We often see the gray sky in the morning, but it is actually a kind of thing called smog. It is estimated that many people still don't know what smog is. Its main constituents are formed by the mixture of sulphur dioxide, nitrogen oxides and repairable particulate matter. The first two are gaseous pollutants. They combine with fog to make the sky change hazed. In fact, fog is a natural phenomenon that is non-toxic and harmless, and the formation of haze is mainly the result of the interaction of a large number of particles suspended in the air and meteorological conditions. Smog often comes along. Smog appears at the same time, and conditions such as water vapor, static wind, temperature inversion, and condensation of tuberculosis are indispensable. The first: the harm of fog to the outdoor LED display. The fog is formed by the condensation of water vapor in the air. That is to say, the humidity in the air is relatively large, which will cause the LED display to be wet. Excessive humidity causes the PCB board, power supply, power line and other components of the LED display to be easily oxidized and corroded, or even short-circuited, causing malfunction. The second: the harm of haze to the outdoor LED display. Haze is a collection of dust, various fine particles, etc., suspended in the air, and dust particles suspended in the air are the core material of the crucible. If it is affected by haze for a long time, all kinds of tiny dust in the air will enter the equipment through the vent hole, and the equipment such as the fan will be accelerated to wear and even damage, and the dust will fall on the surface of the internal control device of the LED display screen, which not only reduces the LED display heat dissipation and insulation performance will also accelerate the aging of the display and affect the normal service life. 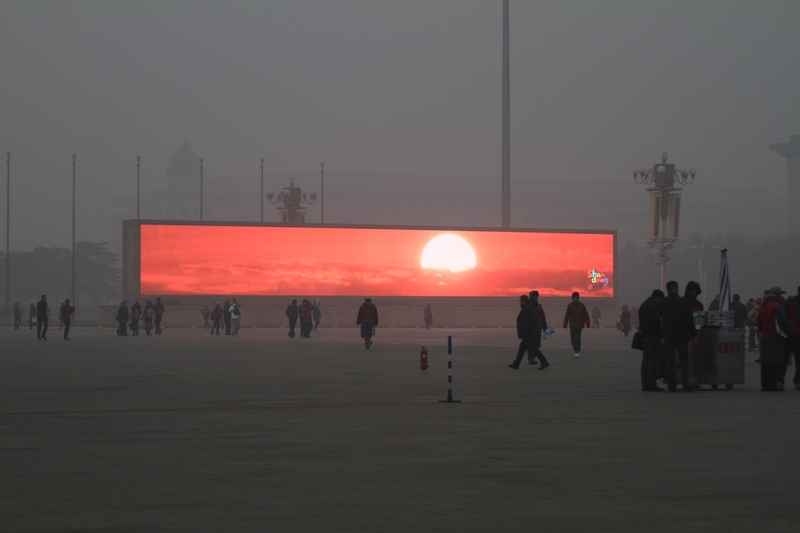 So, how can the LED display be able to withstand the test in the smog for a long time, which requires users and engineers to pay more attention to the purchase and maintenance? 1. First of all, in the procurement process, the user must see whether the LED display screen meets the dust-proof level required by the environment. In terms of dust prevention, the international standard is IP0X-IP6X, which is a design level to prevent foreign matter intrusion. If installed in the northern part with more dust and haze, its front and back protection levels must reach IP65. That is to say, it is necessary to adopt a completely dust-proof structure, that is, it is sealed in a state of water spray. 2. We must pay attention to whether the LED display PCB board has been anti-corrosion treatment, such as surface coating three anti-paint, etc. ; whether the power supply and power cord are selected for high-quality accessories; and view the most easily corroded screen welding, whether It have been done anti-rust treatment. In the daily maintenance process, must regularly remove dust, to avoid wet weather, dust absorption of water in the air caused by short circuit, resulting in mildew of PCB boards and electronic components.